Make sure your valuable personal electronic devices are protected! Mishaps can happen at any time, Worth Ave. Group can protect your Camera against cracked screens, spills, theft and more! All Camera Models Can Be Insured With Worth Ave. Group! Plan comparison based on Two Year Full Coverage Insurance protection plan and minimum deductible available of $25.The device used in this comparison has a retail value of up to $800. Prices and terms are as 7/6/2018 and may change at any time. This website does not provide detailed information or interpretation of specific insurance contracts, policies and/or policy language, and is not designed to be a substitute for such information in terms of claims handling and/or settlement. For complete coverage information, please refer to the applicable specific policy in its entirety, including all applicable endorsements. Not keeping this fragile part of a camera clean, can result in an expensive repair. If your battery cannot hold a charge, it will need replacing. Make sure your device is covered. Glass and LCD Screens can get cracked and damaged from accidental drops. Dropping your camera when shooting can damage the lens, don't get stuck repairing this yourself. Our policies cover water damage from spills, floods and other natural diasters. A camera that cannot read a card can be frustrating, don't pay for this repair, get your camera insured. Camera insurance is a form of financial protection that covers the insured from a variety of accidental damages to their camera, with the aim to eliminate expensive out-of-pocket costs for the insured party. What is a camera warranty? A camera warranty is a service, often provided by the manufacturer, which protects your camera from manufacturer defects. Usually, the warranty is only active for a specific period of time post-purchase. Camera insurance provides protection against many damages that a warranty does not cover. While a warranty covers against mechanical failure and breakdowns, it does not cover against common forms of accidental damage. Camera insurance protects against a variety of damages including: cracked screens, spills and liquid submersion, drops, theft, natural disasters and power surge by lightning. How much does it cost to insure a camera? With Worth Ave. Group, your plan is fully customizable to fit your needs, from the length of the term of coverage to the amount of coverage you wish to purchase. However, for as low as $2.17/per month your camera can be covered from a variety of accidental damages. Worth Ave. Group has a wide range of coverage options. 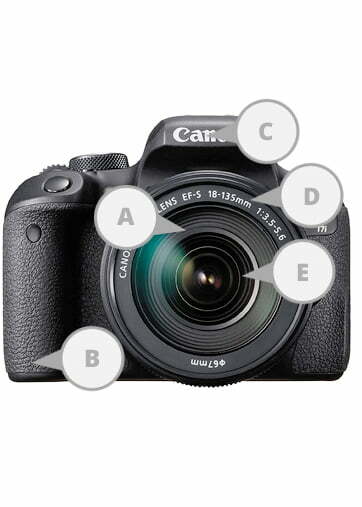 Insurance policies can range from $199 to $3,000 for Camera insurance.